vDinar (SerboCroatian: "virtualni Dinar", virtual Dinar) is a regionally oriented cryptocurrency aiming to a fair distribution among the Southern Slavic people from: Slovenia, Croatia, Bosnia and Herzegovina, Serbia, Montenegro and Macedonia. It is freely spendable and mineable from any part of the world, though, its blockchain structure devotes 2% of mining rewards to a cold storage address to be entirely spent in local donations to people in need, therefore establishing a reasonable link with the targeted region. Its deeper meaning is to serve as a mean of payment that could jump all the internal borders from country to country, both physically and morally, and to introduce everyone from the area in a digital world while still defending the national interest, letting the local user feel part of the whole community. vDinar is a good alternative for local businesses, developers or freelancers of any kind to offer their services or products while still keeping an eye on their own region! "Jagoda", being located in the Balkans, will always run mainly on vDinar to support the project and to introduce more people to it. Bitcoin is a consensus network that enables a new payment system and a completely digital money. It is the first decentralized peer-to-peer payment network that is powered by its users with no central authority or middlemen. From a user perspective, Bitcoin is pretty much like cash for the Internet. Bitcoin can also be seen as the most prominent triple entry bookkeeping system in existence. Nobody owns the Bitcoin network much like no one owns the technology behind email. Bitcoin is controlled by all Bitcoin users around the world. While developers are improving the software, they can't force a change in the Bitcoin protocol because all users are free to choose what software and version they use. In order to stay compatible with each other, all users need to use software complying with the same rules. Bitcoin can only work correctly with a complete consensus among all users. Therefore, all users and developers have a strong incentive to protect this consensus. 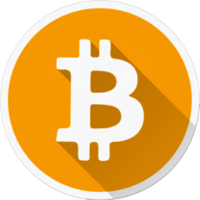 Bitcoin is the most popular cryptocurrency: you can also easily exchange Bitcoins and virtual Dinars, so we do support Bitcoin on "Jagoda"! It won't be our main currency, but we do understand its relevance on the international level. Vertcoin, focused on keeping the ecosystem as decentralized as possible, is very similar to vDinar and even shares an analogue mining algorithm/protocol aiming to obstruct the presence of customized mining devices, therefore defending the occasional miner against cryptocurrency magnates and obtaining a fair distribution. Though, it differs from vDinar for keeping an international vision and having the same block structure of Bitcoin. 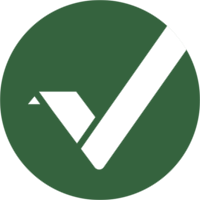 Vertcoin was created in 2014 with the intention of being easily mined by the masses. In more recent times devices called ASICs have taken over Bitcoin, centralising profitability and governance to ASIC manufacturers. Vertcoin remains resistant to ASICs through regularly changing it’s adaptive mining algorithm as ASICs cannot adapt to change: a community contract hard forks the mining algorithm and makes new devices useless. This has been done twice in Vertcoin’s history, it is not an empty threat. The first fork was stop botnets monopolising the hashrate using CPUs. The second fork was to stop an ASIC created for lyre2REv1. 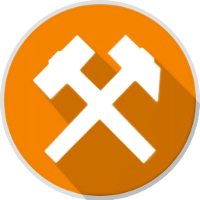 The community will always vote to fork as Vertcoin’s miners are its users. Due to Vertcoin's similarity, both in theory and in practice, with our main cryptocurrency vDinar, we decided to support it and its community by letting our users buy our products with it! We're glad to collaborate with Vertcoin as we consider it a shiny project with a very bright future. Hopefully, this will help it grow together with us!